Willard Metcalf (1858-1925) was an American painter born in Lowell, Massachusetts. 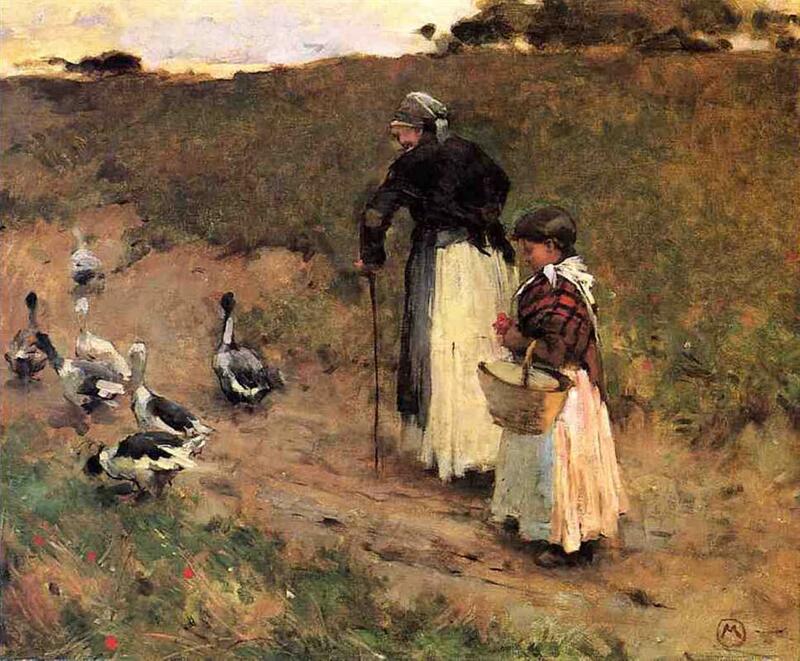 He began painting in 1874, and when he was eighteen in 1876, he opened a studio in Boston. 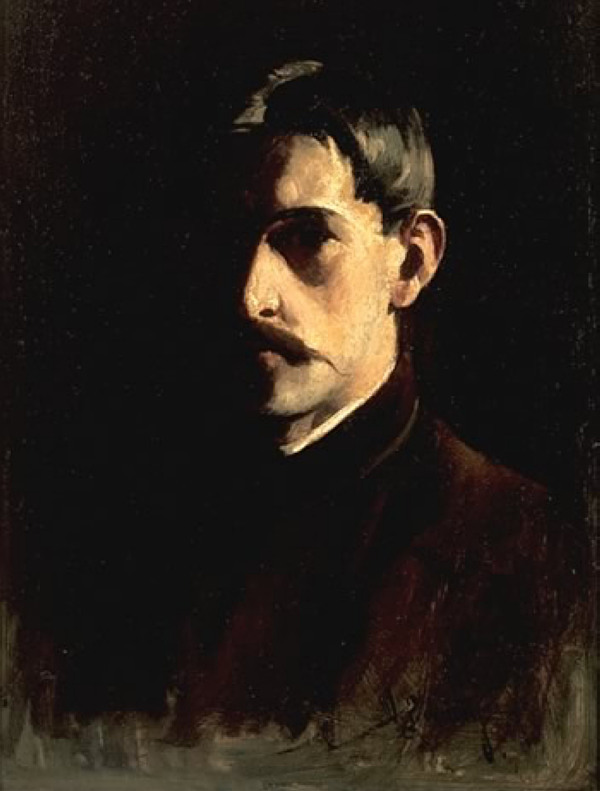 Metcalf began studying at the School of the Museum of Fine Arts, holding his first solo exhibition in 1882. Sales from the exhibition financed travel to Europe, fist going to Paris where he studied at the Académie Julian. He also spent time in England. 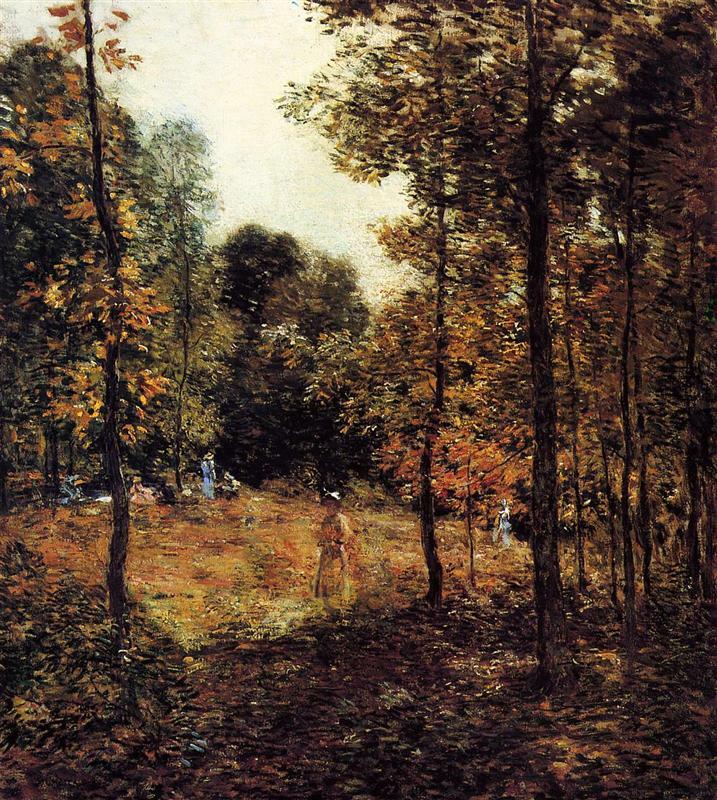 By 1886 Metcalf was painting at Giverny, where he was apparently the first American painter to visit. The paintings of this period show a strong Impressionist and Barbizon influence. Metcalf returned to the United States in 1888, living first in Philadelphia and then in New York. He became an important member of the American society of artists known as The Ten, founded by his close friend, Childe Hassam. 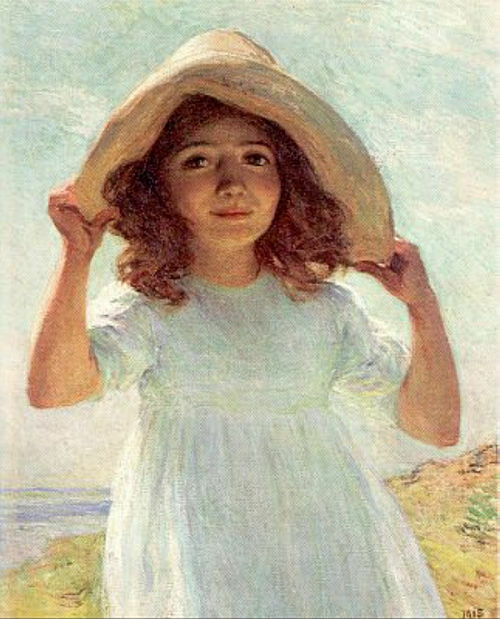 Most of Metcalf's mature work consists of New England landscapes, rendered with extreme accuracy. 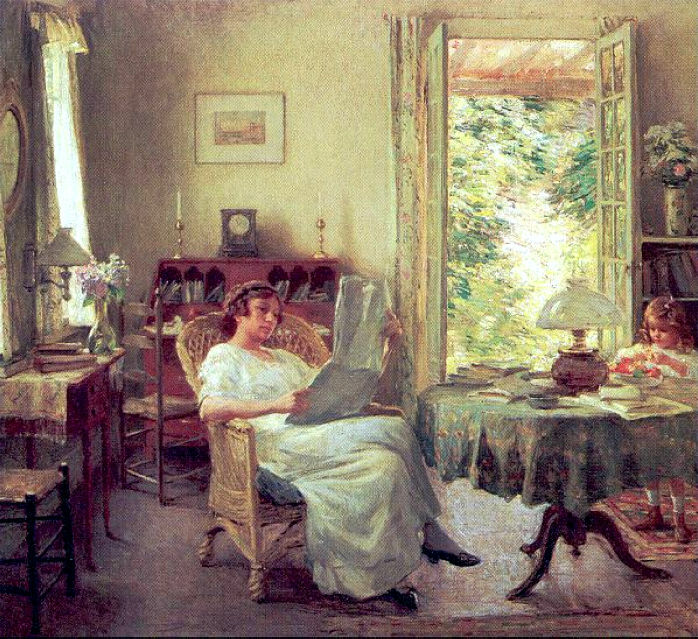 His domestic interiors and portraits (including an 1890 self-portrait) are also well regarded. 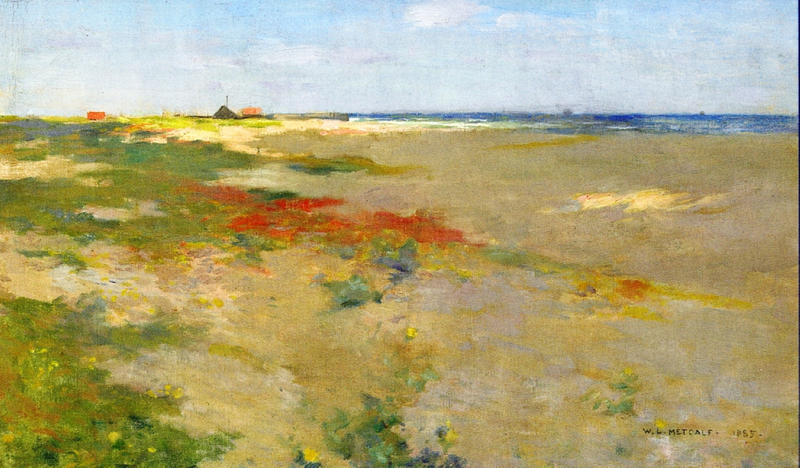 This view of the Suffolk coast and Metcalf's other painting of the same name, were both painted of the coast of Suffolk, England (despite his growing up so near Suffolk COunty, Massachusetts). Metcalf demonstrates great skill in his handling of the water. The sea reflects color in a realistic way and the texture and motion of the waves is successfully conveyed. We can almost sense the volume of the waves and feel the up and down movement of the boat on the surf. Mewnshile the sky is painted with a luminous sunset that shines on the boat and fisherman in the blue-pink water.